Elephant Games brings you the next thrilling chapter in the Royal Detective series. Princess has finally found the happy life that eluded her for so long, so why has she suddenly disappeared? And who is the mysterious figure attacking her statues? 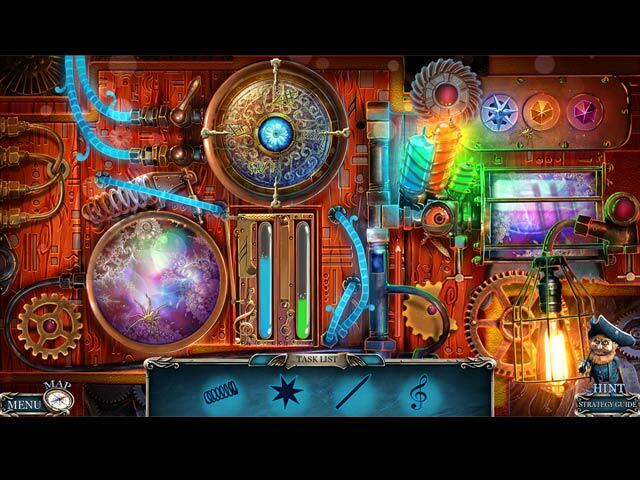 You’ll need all your talents as the royal detective to uncover the mystery and save Princess in this stunning Hidden-Object Puzzle adventure! Play as Prince to save your beloved in the Bonus Game! Enjoy wallpapers, concept art, soundtracks, and more! 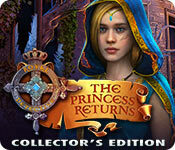 Royal Detective: The Princess Returns Collector's Edition is rated 3.1 out of 5 by 16. Rated 2 out of 5 by Gala_Day from That dog won't keep still! I tried to like this game but the dog moving kept distracting me from the game. I only lasted 15 minutes. The puzzles were interesting and HOs well done. The 'find this to fit in that' same old was also another factor in deciding to quit the game. Rated 2 out of 5 by Granny_Gruff from Confusion Reigns Supreme Princess, the small girl from the first two Royal Detective series games, is all grown up and wandering in a deserted part of Stone Peaks. 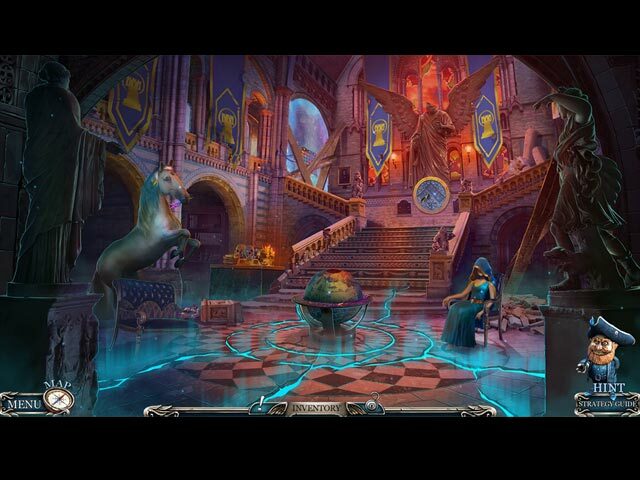 She has sent for the Royal Detective because she has had bad dreams that indicated trouble for her on her trip there. The Royal Detective is back-up. To confuse things as much as possible, the game opens with a sequence in which a robed figure vows to capture Princess's magic so his father, the king, will let him rule next. I can tell you it is not Prince, even though his name would imply he is the most likely suspect. Good stuff: The usual game elements, HOPs, mini-games, puzzles, and a bit of story are all present, along with collectible morphing dogs, and morphing objects included with the CE bling. (Yes, both collectibles morph, and yes, it is confusing at times.) Bad stuff: So this robed stranger has a magic staff to help him steal Princess's magic so he can be king. The first question, of course, is: Why does he need her magic if he has the magic staff. During the course of the game, he uses the staff to start fires, imprison living statues, conjure up a wild animal guard, entrance one character and turn another into a statue. All Princess can do is animate statues. Once you get past that problem, you will find glaring translation problems: Princess had a pretty apartment nicely furnished to one side of the gate into Stone Peaks which the game calls, "Building Debris." (!?!) And logic deficiencies: You fish a piece of coal out of a lighted fire in the fireplace of Princess's abode with two knitting needles. You trot into the town to write a combination down with the coal on a strip of paper. You run around to find five blue rosettes to put on the safe door back at Princess's room to use the combination. When you finally open the safe, You plunder a bracelet Princess received from Prince for the jewel set in it. You race back through the deserted streets to a wrecked carriage to place the stone in the front of a wooden box. The box opens and you get - wait for it - a feather! Bottom line: Play the demo. Please play the demo. Make an informed decision before you encourage the Devs to do this again. Rated 2 out of 5 by GlacierMyst from Such a dissapointment Such a sad demise to what could have been a great series. The original game in this series, "Royal Detective: Lord of Statues CE", is still one of my all time favourites. The second in the series, "Royal Detective: Queen of Shadows CE" while lacking, was still an OK game. The third insatllment "Royal Detective: The Princess Returns CE" fails miserably. The only entertaining feature, for me, was the Dog "helper" (I know there are others, who find the "helpers" annoying). Perhaps, because I found Princess's voice so irrating, the game was doomed from the very beginning. It was good to see that the Stone Figures were still featured in the game, although, perhaps they should have been featured as the main characters, as having the storyline develop around them may have saved the series! If I ever decide to purchase this at all (to complete my series) it will have to be on a really good sale. Rated 2 out of 5 by BooksandGameFan from Excitement about a new Elephant game soon turned to deep disappointment! I played exactly 10 minutes of this game and in that time I had to use the hint three times! Now I'm not a newbie at these games and I'm certainly not stupid, but the where and why's didn't make any obvious sense. I also found the game to be boring and the pace was slow as molasses! Nothing to capture you and pull you into the game! I enjoyed the last 3 games in this series but this one is a big fat stinker! I'm normally a great big fan of Elephant games, there Surface games are some of the best games ever produced. I guess everyone has an off day and this is definitely one of Elephant games bad days. A real pity as I was so looking forward to a fun new game by Elephant. Try the demo and see what you think about the game as for me I will not recommend something I know I will not purchase. Rated 1 out of 5 by LunaNik from What happened to you, Elephant? I've been wishing for Princess to return. After playing this demo, I realized what I really wanted was for 2012 to return. Elephant used to write complex, engaging storylines. This one can be described in one sentence. Princess and Prince are in love, but the heir to the throne (oddly NOT named Prince) has no magic, yet he manages to create a magical staff to steal Princess' powers. Shallow and inane. Gameplay can be summarized: • There are 40 shaped keys in the demo, which is about 5 per game scene. • Every silly task on the usual laundry list is present. • Objects are not hidden in the HO scenes. • Mini-games are overwhelmingly "move tokens to the correct spots." I don't believe I've ever played a more monotonous game than this one. If you open 2 browser tabs, one for The Lord of Statues and one for this episode, you can clearly see how Elephant's graphics have deteriorated. 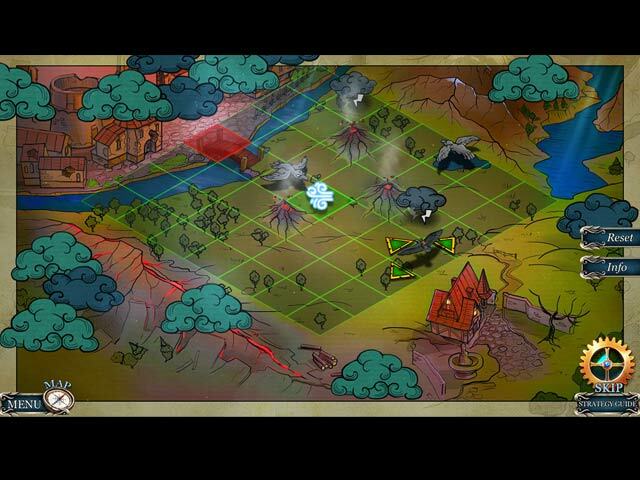 Check out the screenshots for The Lord of Statues. Stunningly gorgeous, right? Now look at the screenshots for this episode. Warning: You may want to don sunglasses first, lest the clashing neon colors sear your retinas. Once your vision clears, note how the first episode's graphics are beautifully integrated. Then, look a the cut-and-paste chaos of this episode's graphics. 'Nuff said. Based on the lack of plot, the monotonous and easy gameplay, and the horrendous graphics, I can't recommend this game. Instead, I recommend you go back and play The Lord of Statues and Queen of Shadows. Both are excellent games. This episode is a hot mess.